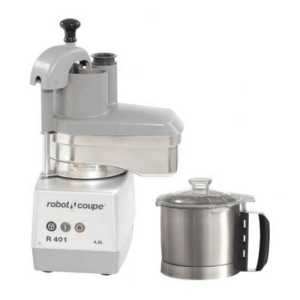 The Robot Coupe CL50 is a top of the range vegetable preparation machine that slices, chops, grates and dices. 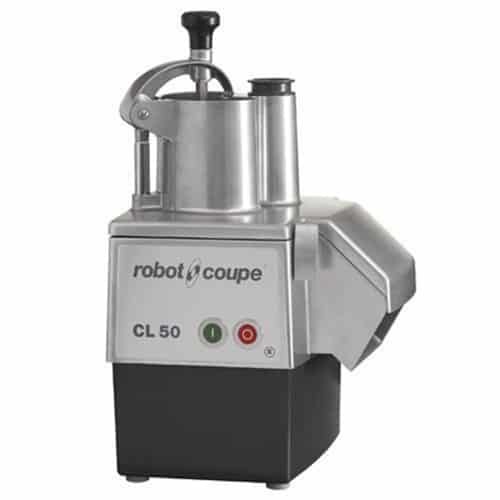 Perfect for restaurants, caterers and delis, the CL50 will meet your precise daily needs easily and effectively. The CL50 has two feed hoppers to cater for different sizes of vegetables and fruits. The CL50 offers a wide choice of cuts, even for delicate vegetables, delivering perfectly slices mushrooms and impeccably formed tomato cubes. The possibilities are endless with the Robot Coupe CL50. It can even be used to make stuffing from stale bread! Strong, durable and easy to clean, you will find no other machine that meets your specific day to day needs as precisely or with such ease and efficiency.